SELF CLEANING GLASS – MYTH OR REALITY? Self cleaning glass – what next? 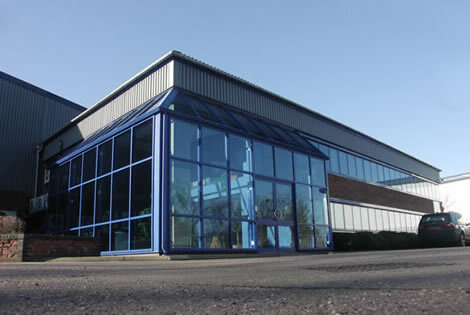 For over 180 years Pilkington has been developing glass and now have a product they call Activ. This glass is bonded in manufacture with a Nano Coating that gives the surface a unique dual action self cleaning ability. Firstly through a Photocatalytic process sunlight starts to breakdown organic dirt. The second stage is Hydrophilic. Here as water hits the surface it spreads out evenly as a sheet, taking the loosened dirt with it. This sheeting also dries quickly and avoids streaks and water spot marks. In dry periods or even drought conditions the glass may need hosing down to maintain a clear appearance. Once installed the glass will take a couple of weeks to energise and will only require any cleaning if heavy dirt such as bird droppings remain after it has rained. This stubborn dirt can be removed with warm soapy water and a soft cloth. Never use abrasive cleaners or scourers as these may permanently damage the coating. Tests have shown that the coating will last for the lifetime of the unit at least and will not flake or discolour. It is worth noting that Activ is a trade mark product specific to Pilkington and that other products may come to market that would perform equally as well. There are also retro fit Nano coatings on the market that will provide similar results to existing plain glass.